Play: San Antonio Spurs -7.5. The San Antonio Spurs are finally healthy. As a result, they are starting to play like the team that won the NBA Championship last year, and not the one that opened the season 19-14 and in the middle of the pack in the Western Conference. 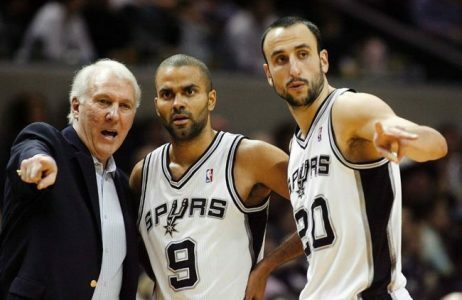 Indeed, the Spurs have gone 3-0 SU & 3-0 ATS in their last three games overall. It started with a 98-93 win at Charlotte as 4.5-point favorites without Kawhi Leonard (15.3 ppg, 7.5 rpg), who is arguably the team’s best player. Leonard then returned in back-to-back blowout home wins over Portland (110-96) and Utah (86-69). He has missed 18 games this season, and the Spurs simply were not the same team without him. Leonard, Duncan, Parker and Ginobli are all healthy now. The Denver Nuggets, on the other hand, come in playing some of their worst basketball of the season. They have lost three straight. They lost at Dallas (89-97) as 8-point underdogs, lost at home to Minnesota (105-113) as 11.5-point favorites, and lost at Golden State (79-122) as 14.5-point underdogs yesterday. Now, the Nuggets are in a very difficult spot. They will be playing the second of a back-to-back and their 4th game in 5 days, which is one of the toughest situations in the entire NBA. Since trading away defensive stopper Timofey Mozgov to the Cleveland Cavaliers a week ago, this team just hasn’t been playing much defense at all. This has been a one-sided series in recent meetings to say the least. The Spurs are 4-0 SU & 3-1 ATS in their last four meetings with the Nuggets. All three covers for the Spurs during this stretch came in Denver as they won 99-91 as 5-point favorites, 133-102 as 7.5-point favorites, and 102-94 as 4.5-point favorites. I have little doubt they’ll win a fourth straight trip to Denver by 8 points or more given the situation. Plays against home underdogs of 3.5 to 9.5 points (DENVER) – after having lost 3 of their last 4 games, extremely tired team – playing their 5th game in 7 days are 65-23 (73.9%) ATS since 1996. San Antonio is 24-9 ATS in road games after playing two consecutive games as a home favorite over the last three seasons. Denver is 1-9 ATS as an underdog of 3.5 to 9.5 points this season. The Spurs are 22-8 ATS in their last 30 trips to Denver. The road team is 19-7 ATS in the last 26 meetings. Bet the Spurs Tuesday. No. 1 Ranked Basketball Handicapper from 2012-13! Jack Jones came back with a No. 4 Hoops Finish in 2013-14! He has delivered steady profits in 2014-15 as well! He is coming off a 4-1 Monday to add to his UNMATCHED 959-769 Hoops Run long-term that has seen his $1,000/game players cash in $134,440! This money train stays right on track with Jack’s Tuesday Hoops 4-Pack for $49.95! Leading the charge is his 20* Iowa/Wisconsin ESPN GAME OF THE WEEK! You’ll also receive three 15* plays upon purchase with 1 NBA & 3 CBB winners in all! You are GUARANTEED PROFITS or Wednesday’s entire card is ON JACK!